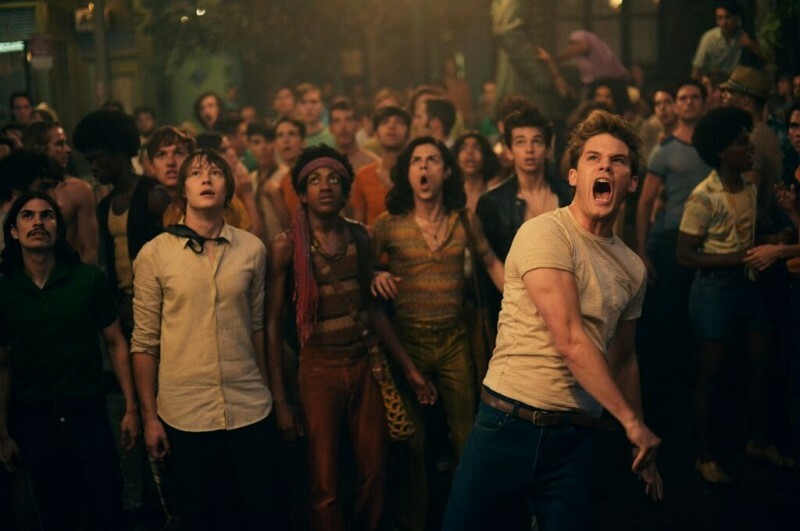 Ahead of its September 25, 2015 release, the first trailer of director Roland Emmerich's Stonewall was received by wide criticism. The movie, which stars Jeremy Irvine, Jonathan Rhys-Meyers, Jonny Beauchamp, Joey King and Ron Pearlman placed a significant emphasis on the fictional character of Danny Winters (Jeremy Irvine) for its trailer. Critics are displeased with how the trailer displaces leaders such as Sylvia Rivera and Marsha P. Johnson, along with fellow drag queens, lesbians and trans people, who played a significant role in the movement. Taking to his official Instagram to respond to critics, actor Jeremy Irvine shared, "To anyone with concerns about the diversity of the #StonewallMovie. I saw the movie for the first time last week and can assure you all that it represents almost every race and section of society that was so fundamental to one of the most important civil rights movements in living history. Marsha P. Johnson is a major part of the movie, and although first hand accounts of who threw the first brick in the riots vary wildly, it is a fictional black transvestite character played by the very talented @vlad_alexis who pulls out the first brick in the riot scenes." "My character is adopted by a group of street kids whilst sleeping rough in New York. In my opinion, the story is driven by the leader of this gang played by @jonnybeauchamp who gives an extraordinary performance as a Puerto Rican transvestite struggling to survive on the streets. Jonathan Rhys Meyers' character represents the Mattachine Society, who were at the time a mostly white and middle class gay rights group who stood against violence and radicalism. I felt incredibly nervous taking on this role knowing how important the subject matter is to so many people but Roland Emmerich is one of the most sensitive and heartfelt directors I've worked with and I hope that, as an ensemble, we have not only done such an important story justice but also made a good movie as well." 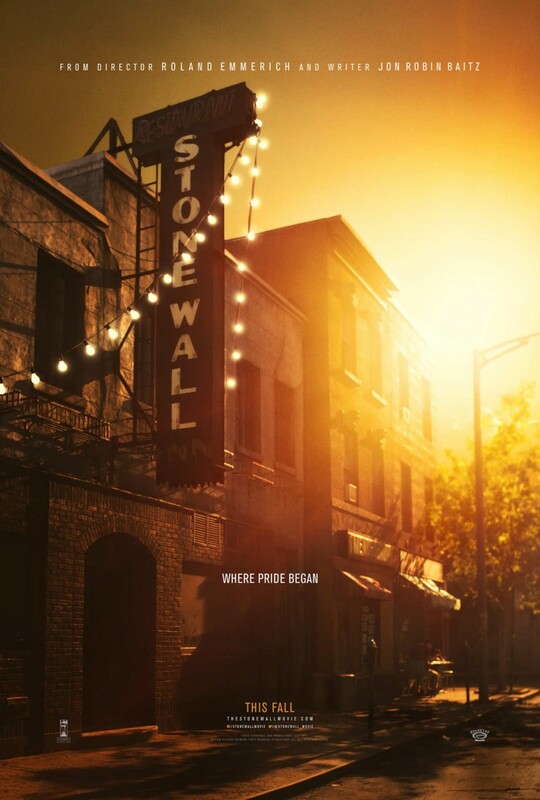 The official film synopsis reads: "Stonewall is a drama about a fictional young man caught up during the 1969 Stonewall Riots. Danny Winters (Jeremy Irvine) is forced to leave behind friends and loved ones when he is kicked out of his parent’s home and flees to New York. Alone in Greenwich Village, homeless and destitute, he befriends a group of street kids who soon introduce him to the local watering hole The Stonewall Inn; however, this shady, mafia-run club is far from a safe-haven. As Danny and his friends experience discrimination, endure atrocities and are repeatedly harassed by the police, we see a rage begin to build. This emotion runs through Danny and the entire community of young gays, lesbians and drag queens who populate the Stonewall Inn and erupts in a storm of anger. With the toss of a single brick, a riot ensues and a crusade for equality is born."